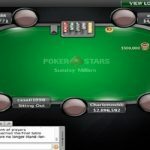 An Austrian poker player named TheFan83 has won latest Sunday Million event which took place at PokerStars on Feb 26, 2017. The $215 buy-in No Limit Hold’em weeky tournament attracted a huge number of players (in total 5,218) and generated $1,043,600 as total prize pool. Top 728 position holders in the match pocketed some amount of money, with TheFan83, being first for $122,000, while digopapel of Brazil collected $112,734 from the tournament for his second position. A three way deal among top 3 remained players decided that the winner will take home another $20,000. According to the deal Poland’s KasparovAKs took home $91,000 from his third position. 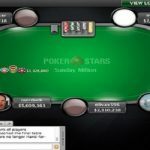 TheFan83 has never won a big tournament like this one, but he had a very close battle against countryman Schildy1984 back in 2011, when he played against him in a heads-up for a WCOOP title. 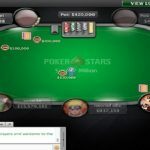 The final table was set after a player named old_col’s busted to tenth place at least after ten hours of game completed. First player who busted from the final table of top 9 players was J.C. “PrtyPsux” Alvarado of Mexico. He made $8,732 from this particular Sunday Million. 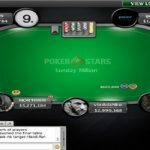 Next man hit the rail was a UK poker site player named #Naktro91. 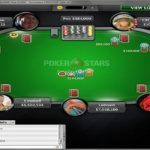 He was able to collect $12,443.15 from the title for his eighth place, while seventh place was for a Ukrainian player named FeaNoR4eG for $17,731.18.